Guided Meditation for Chakra Healing. Do you often feel tired, lethargic or run down? Would you like to re-energise your mind, body and spirit? Have you cleansed or re-balanced your chakra energy system lately? 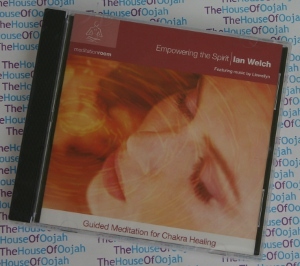 A complete mind, body and spirit guided meditation that acts to clear, harmonise and re-energise the chakra energy system. Using colour and crystal visualisations as its primary healing tools, this meditation is a great way to experience a full-body energetic tune-up. Used regularly, it can help to restore your energy levels, re-invigorate the spirit, relax the body and more closely connect you with your inner divinity. The purifying and balancing effects this meditation has on your spirit will also manifest themselves in your physical and mental spheres.